Expressing yourself by sharing photos on Instagram is a buzz especially when the service is backed up by Facebook. It has already added its presence in Social Media. Instagram app is available on Android and iPhone only, as of now. Instagram also works the same way as the Twitter works but the only difference is that your status is expressed with photos clicked by you. Related Post: How to take Cloud Backup from major cloud services and FTP. Since, it is supported on limited mobile operating systems it is less used by mobile users. But, I must say you should join Instagram and experience photo sharing. Today I would be sharing ways on how can you access Instagram on web. Instagram is being used more for the Photo contest and social media campaigns these days. Even I have seen few images which I am sure it is not clicked by mobile camera, but they upload it by third-party applications uploading directly from the computer. Apart from that, you can even search in Instagram or know the stats of the users using the service. 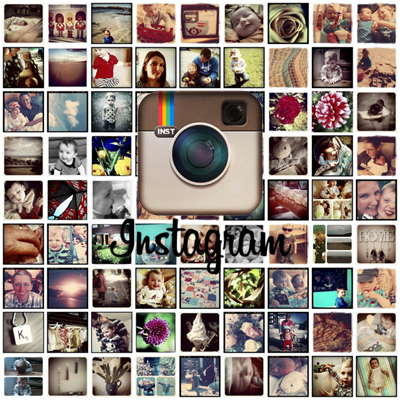 How can you use Instagram on your PC? Gramfeed: gives an interactive Instagram UI which helps you to manage your friends photos likes and check out familiar photos which are active. It also shows the maps which helps to know from where the photo is being clicked. It provides you grid view if you want to see the photos in one go or you can select it in normal view which helps you to check out the photos with time format. Ink361: is another Instagram third-party service, which helps you to give the full view of the photos uploaded by other users like you see in Instagram. Ink361 shows their ad in between of other images which irritates using the service sometimes as Instagram does not provide any ad placement on mobile service. The geo tagging feature is more useful than Gramfeed. Related Post: Learning from Red Bull Stratos – How to create Buzz! Instagram for Chrome: this one is the best browser based application which gives the exact feel of using Instagram on the mobile. All the features are similar to the Instagram app on the mobile. But you can use this app in only Google Chrome browser. Luxogram: This service is still in a beta phase. But will give all the needed features of Instagram. The photo feed gets updates as and when your friends add up the photos. When you move the cursor on the photo you will see the details of the photo and the update status. You can even like by double clicking the photo. Let me know your experience using these web applications. Feel free to drop your comments. « Things to keep in mind before downloading Windows 8?